Just in time for Valentine’s Day and National Marriage Week, I’m excited to share a brand new resource with you that has been in the works for a couple of months. 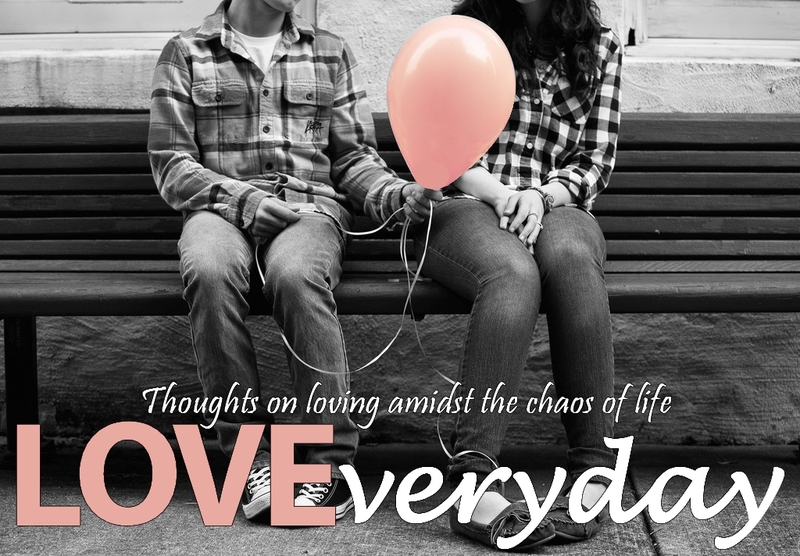 The free e-book, called Love Everyday: Thoughts on Loving Amidst the Chaos of Life, represents the collective efforts of 27 talented relationship writers. I was excited to be invited to be a featured author and editor of the project. You’ll find everything from humorous insights to practical relationship tips. Please leave a comment below with your thoughts and share this e-book freely. I will leave a link to it in my sidebar as well, so you can send people here to Life Gems to find it if you prefer. If you are new to Life Gems4Marriage, welcome! Please check out some of the more popular posts listed below. I invite you to sign-up for free updates via RSS or email on the right column, and I’ll send you new posts whenever they’re posted for you to read at your convenience. You can also follow me on Twitter @LoriLowe. Read Love Everyday by clicking on this link. Then share it liberally by email, Twitter, Facebook, blogging, word-of-mouth and any other way you can. You can download to your computer and read at your leisure. You can even print it if you prefer a hard copy. It’s totally free and we urge you to help us spread it around the world. I hope it helps nurture your own Everyday Love. Following is an impressive list of authors who contributed to Love Everyday. Each is passionate about marriage. This entry was posted in Family, Love, Marriage, Marriage Research, Personal Growth, Relationships, Uncategorized and tagged better marriage, better relationships, e-book, Family, free book, free e-book, improve marriage, Love, love e-book, Love Everyday, Marriage, marriage advice, National Marriage Week, Relationships, spouse, successful relationships, Valentine's Day. Bookmark the permalink. Thank you for helping to edit this ebook! You’re very welcome. I was glad to help.